So, here follows an description about the 2 containers. This container will run an zabbix-server. Jeah! 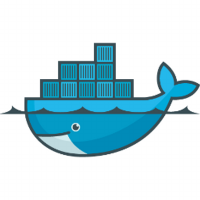 This docker container make use of an volume, mentioned with the -v parameter. This will mount the ‘/data/zabbix’ directory in the docker container as ‘/zabbix’. This directory contains the directories which are used for storing SSL (configuration) files, modules and scripts. With the -p option, we open the port on the host (10051) and forward it to the port to the docker container (10051). The -e values which you see are environment settings that are passed into the docker container. These environment settings are the actual Zabbix Server configuration options but in uppercase. As you might see, the settings in the example are used for connecting to the database ‘zabbix’ on host ‘192.168.1.153’ with username ‘zabbix’ and password ‘zabbix-pass’. I also specified the ‘ROOTPASSWORD’ setting, this is the password for the MySQL root user. When this is supplied, it will create the database (DBNAME) and create the user (DBUSER). If you don’t specify it (Which can of course) an database and user should already be created. Now you can configure the Zabbix Server exactly like you want, just by adding some environment parameters in the command line before starting it. But this is only the Zabbix Server, not the frontend. Like the Zabbix Server, this is also an Debian based docker container and will only work with MySQL as database. It is running Apache 2.4. The DB* settings are the same as for the Zabbix Server container, so I won’t describe them again. With the Zabbix Web container we open port 80 on the host and forward it to port 80 on the docker container. With the ZABBIXURL setting, we specify the url on which the web interface is available. In this case, when we open ‘zabbix.example.com’ we get the login page of Zabbix. (Well, if you have access to the zabbix.example.com domain 😉 ) With the ZBXSERVERNAME setting we specify the name of the Zabbix Server and with ZBXSERVER we let the Zabbix Web know where it can find the Zabbix Server. 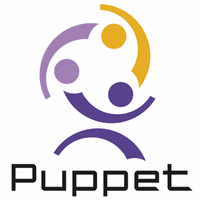 After 2 years of developing, 25 releases, 78 forks and +35000 downloads of the Puppet module for installing and maintaining Zabbix, I’ve decided to move the module to the guys at Vox Pupuli. As my focus lately is towards other tools as Ansible and Docker, I don’t have any time anymore to keep my Puppet knowledge up2date. The last half year (or maybe little bit longer) I only could accept Pull Requests and do some minor changes, anything else would cost me a lot of time to figure it out how things would work in Puppet. I just released an new version of the wdijkerman-zabbix puppet module: 2.0.0. This release will contain a lot of Pull Requests, bug fixes and some new features. This release also works with Puppet 4. (Probably also with earlier versions, but first time I tested it work Puppet 4). Updated the listen_ip for proxy so it same as for agent. I just released an new version of the wdijkerman-zabbix puppet module: 1.6.0. Not yet puppet 4 compliant. I have some local issues with my puppet environment, but I hadn’t released in a while and there where some pull requests which I accepted a while back. So this release is mostly pull requests and support for Debian 8 to! wdijkerman-zabbix version 1.5.0 puppet module released; not puppet 4 compliant yet, but it can automatically install Zabbix Templates! I just released an new version of the wdijkerman-zabbix puppet module: 1.5.0. I had hoped to make this release puppet 4 compliant, but when I was investigating this I found that most of the modules that the wdijkerman-zabbix module is depending on isn’t puppet 4 compliant yet. With puppet 4, the only issue I encountered so far is related to the puppetlabs-apache module (It restarts the apache service before all files are present in the conf.d directory). With this release you can automatically install Zabbix Templates! You need to use the define ‘zabbix::template’ and specify where the XML can be found and the template will be installed. 2nd fix for: Zabbix-proxy install database population #62. Also for postgresql now.